This box is made of birch wood veneer. It comes with two straps made of leather. This box measures 13" tall, 3.5" in diameter. 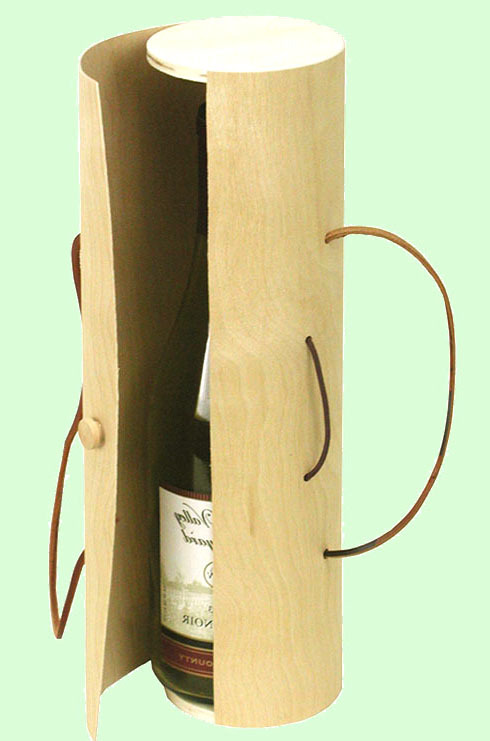 It holds either a standard red wine or white wine bottle. Birch is a hard wood with compact surface. We can imprint your logo on the box.